Kannur university degree supplementary allotment result 2017 has published. 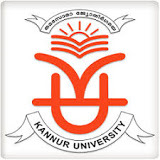 The supplementary allotment result will be available on kannur university official web site www.cap.kannuruniversity.ac.in. The kannur university degree admission for the ug programmes like BA/BCom/BSc etc will be conducting through the centralized allotment process (UGCAP allotment). The Kannur university supplementary allotment is conducting by the university is to fills the vacant seats on degree programmes in the affiliated colleges under kannur university. The candidates who have applied for degree admission though UGCAP and still not getting a satisfactory allotment can check their allotment status from the university web site.